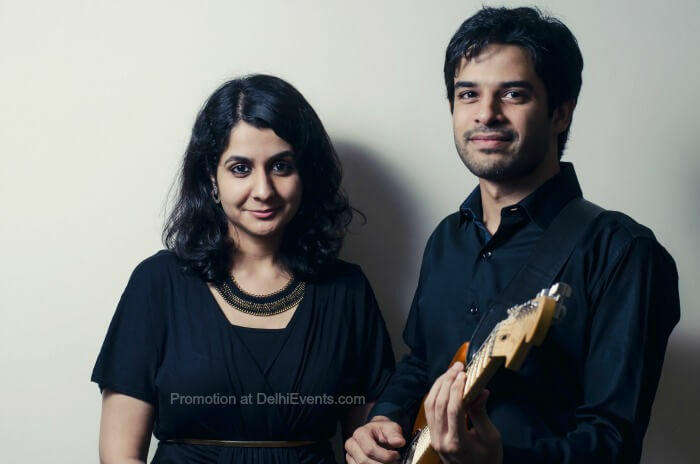 Smiti Malik is the vocalist of Delhi-based band Kitchensink. She has trained in Hindustani as well as Western vocal styles and draws inspiration as a singer and song-writer from Jazz and Blues as well as Contemporary Folk music. Also a session musician, she has shared the stage with the artist like The Aditya Balani Group and Nishad Pandey, and is one half of ‘Chayan and Smiti’, an all acoustic set up that she shares with vocalist and songwriter Chayan Adhikari. Adhir Ghosh is a session-guitarist, composer and music teacher. He plays full-time with two bands – Five8(Funk/Rock) and Kitchensink(Jazz/R&B); and has also performed with artist Artists Unlimited, The Yellow Brick Project, Classic Collective, MAP, Vasundhara Vee and others, which has gained him the reputation of being one of first-call guitarists in the city. He is also a music educator and teaches both privately and at Global Music Institute, one premier music institute in Delhi.